Vibratory plate compactor: 1961 Jackson Multiple Plate. Each steel plate is electrically vibrated. 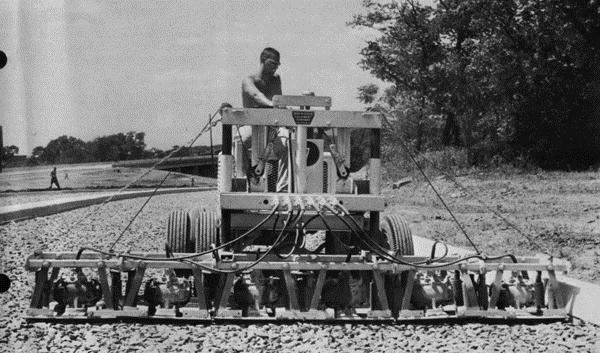 Road compactors like this have been obsolete since the 1960s, but walk-behind types are used today.